After meeting up in a famous London west end hotel, chef Daniel Garcia and Elias Dayub discover a common passion for fine desserts, which took them in this fantastic journey to create an incredible range of handmade patisserie. 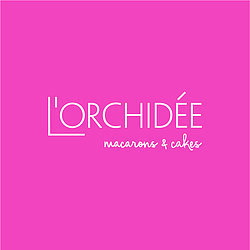 With an experience of over 8 years in the food business, L'orchidee was created. At L'orchidee we are passionate about delivering quality over the highest expectation. Respecting all the process of maduration and temperature control of our finished product, you could not only experience an exquisite flavour but also a passion that only skilful hands could reach.Therefore we offer you an amazing range of our highly fashionable but yet very classic french Macarons and truffle lollies which by their simplicity, elegance and delicacy will make the perfect gift for every occasion. Our macarons and lollies are daily hand made using only the finest ingredients we could get our hands on, from Organic british strawberries, Venezuelan chocolate, Bourbon vanilla and the greenest pistachios we could get on season. 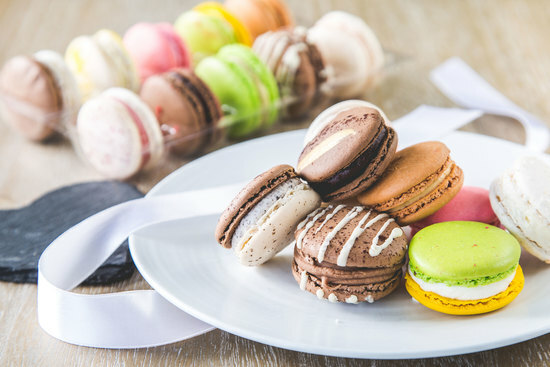 We don't use any additives, preservatives, gluten, wheat or gelatine in our macarons or lollipops, therefore we recommend to enjoy them within three days. 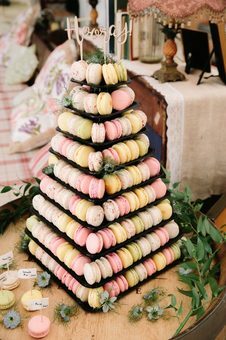 We are also pleased to now offer a wide range of Macarons and Macaron towers as well as truffle lollies by Consultation for weddings, christenings and other special occasions, please do not hesitate to contact us for more information. "These arrived packed in a beautiful and very strong box and were completely undamaged and sent 1st class Royal Mail. Everyone loved them, they are delicious and the meringue melts in your mouth. I had the box of mixed flavours and loved all of them. Would make a lovely gift for your host/hostess for lunch, coffee etc." "Product delivered quickly, in safe and secure packaging. Top quality product, excellent idea for special gifts." "The macarons were lovely and it was the perfect wedding favour! I would recommend for weddings"
"Seller had excellent fast communication and went to the trouble to suggest which fillings would be best for the travel distance of my recipient. 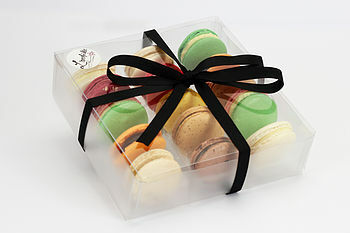 Macaroons were very tasty and well received and I and the giftee was very happy with service. Many thanks!" Please note that all our products will be freshly made to order, please allow 5 to 7 working days for us to make and send your goodies. 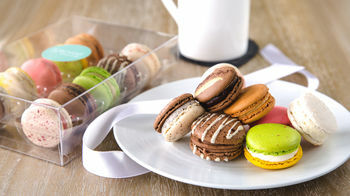 All our Macarons and lollies are sent using a First Class delivery service, once we have dispatched your order they should be with you in 1 to 2 days. Please get in touch to let us know to arrange a specific date when you place your order. If you would like to check before you order, please get in touch using the 'Ask seller a question' button.